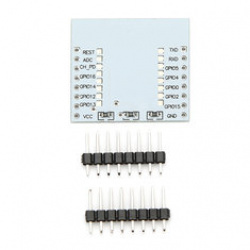 This is the SparkFun DIY RJ11 Breakout, a simple breakout board for the common 6-pin RJ11 connector as used on some of the weather station components. 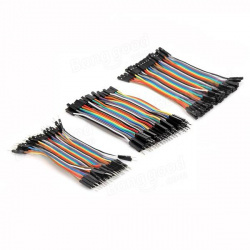 These little boards can easily fit the included RJ11 6-Pin Connector to work with common telephone cables etc. 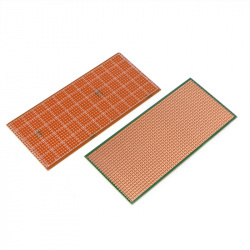 Each board features standard B/R/Y/G (Black/Red/Yellow/Green) labels on the top of the board to match a standard telephone wire. 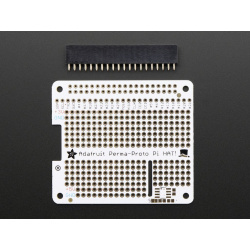 Additionally, each board has pin numbers on the back side that match with the pins on the connector. 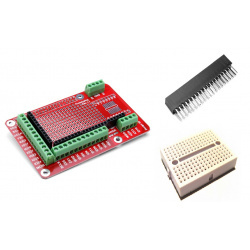 Design your own Pi HAT, attach custom circuitry and otherwise dress your Pi 3, 2, A+ or B+ with this jaunty prototyping HAT kit. 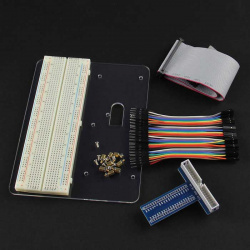 Near the top we break out nearly every pin you could want to connect to the Pi (#26 didn't quite make the cut). 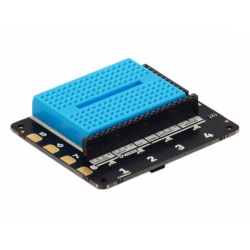 The ModMyPi Paddle Breakout HAT enables you to bring the Raspberry Pi B+/2/3 GPIO out from your Raspberry Pi to 'push wire' paddle terminal points in the form of a neat HAT! 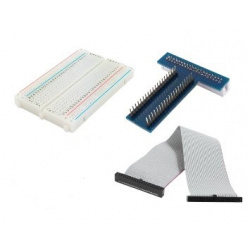 This kit requires absolutely no soldering, but will allow you to jump straight from the Pi to your project or breadboard without the use of a cobbler kit. 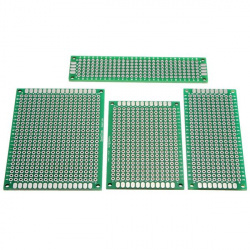 All terminals are labelled on the PCB silkscreen, and have been re-ordered in a simple to use format. 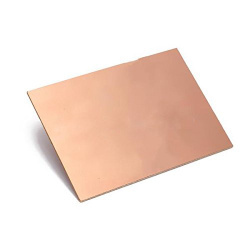 The 'push wire' terminals can be utilised with solid core wire stripped to around 10mm of exposed copper.